Denmark's leading pharmacy chain, A-apoteket, chose Olino to develop a range of workwear for front line staff at the chain's 120 pharmacies and pharmacy outlets. The company wanted to improve the appearance of its staff and ensure their attire was appropriate for health sector employees. We created a collection of workwear with a clean and timeless look, consisting of traditional white and black elements. Coats have a feminine cut with a few subtle details such as the metal buttons. Approximately every second pharmacy in Denmark is a member of the A-apoteket chain, and we service each individual pharmacy, and keep all workwear items available for immediate delivery. A-apoteket places orders via the company's personalized corporate webshop, email, fax and telephone, and we ship deliveries to each pharmacy as required. To keep the collection fresh and attractive, new styles are launched for spring and summer seasons. 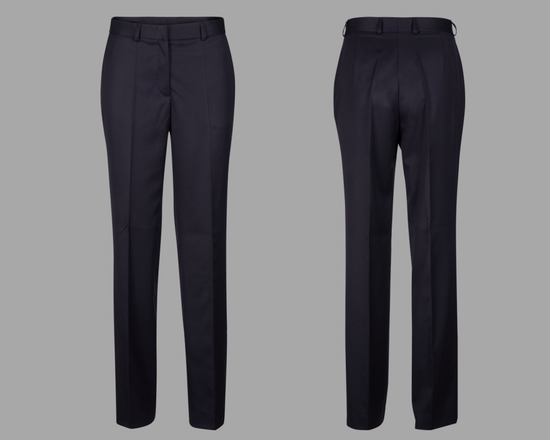 We develop new styles based on a brief from A-apoteket management and wearer representatives. These styles are pre-ordered and delivered each spring. In addition to seasonal items, the collection includes basic items available all year. A-apoteket's basic workwear items include white coats, trousers, skirts, shirts, T-shirts and blouses, waistcoats, ties and scarfs. Icelandair relies on a complete service solution from Olino. 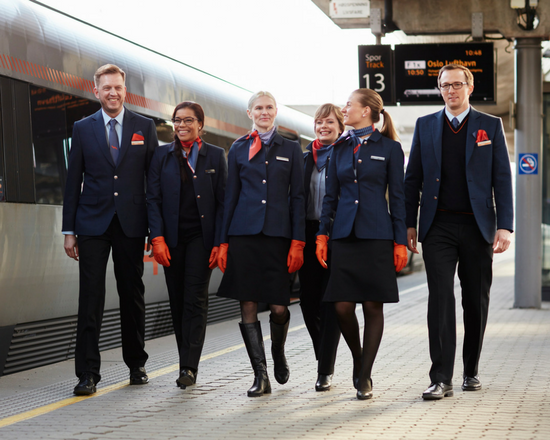 The airline's uniform collection was designed by the award-winning Icelandic designer Steinunn. 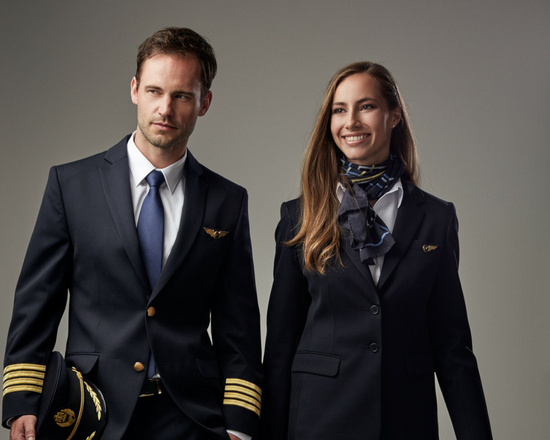 Bamboo uniforms offer airlines and organizations a new sustainable uniform solution, highlighting all the appealing features associated with bamboo fabrics. Bringing a new brand look to life, Flytoget chose Olino to be their new full service supplier of uniforms, from design, fitting to manufacture and delivery. The word stewardess is the longest word in the English language that you type with your left hand alone. Try it and see for yourself! The famous designer Steinunn Sigurðardóttir found inspiration in Iceland's natural beauty when designing her Icelandair uniforms. Steinunn has her own shops in New York and Reykjavik, and has won awards in Denmark, the U.S. and Iceland. Back in 1965, Braniff became the world's first airline to hire a fashion designer to create a line of stewardess uniforms. Today, most major fashion designers have undertaken airline-related projects. Qatar Airways' plum-colored uniform was voted "the most stylish" by Skyscanner users in 2010. The uniform plays off the airline's logo, and the color is associated with dignity, nobility, and power.